The 2013 NCAA Tournament has come and gone, with Rick Pitino and the Louisville Cardinals cutting down the nets in the Georgia Dome. 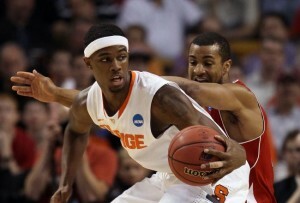 East Regional tickets favorite Indiana wasn’t able to make it out of the Sweet Sixteen, falling to the Syracuse Orange. While next year’s March Madness is nearly a year away, it’s never too early to take a look ahead at some of the teams that could be in contention for the top seed in the East in 2014. It’s going to be hard for the Hoosiers to earn that No. 1 seed again next year, as Cody Zeller and Victor Oladipo have both decided to enter the NBA Draft. However, Tom Crean has done a great job rebuilding the Indiana basketball program, so they should not be completely dismissed. Syracuse fell just short of the championship game this season, but should be right back in contention next year, despite the move to the new-look ACC. With leading scorer and rebounder C.J. 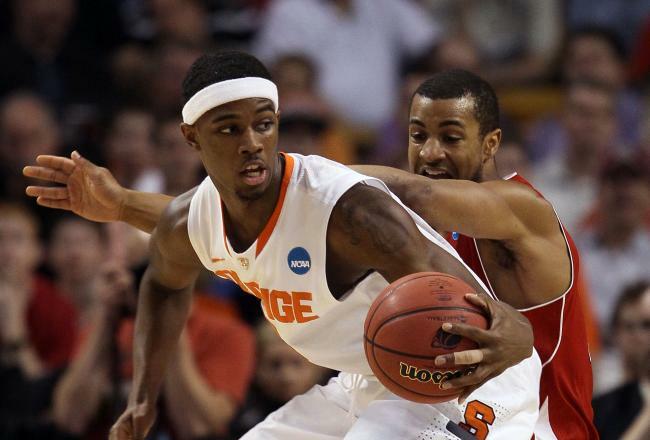 Fair heading the charge, Jim Boeheim and the Orange should be just fine in their new conference. Challenging Syracuse in the ACC should be Coach K and Duke, who are a perennial threat to earn a top seed in the tournament. While the Blue Devils lose their top three players in Mason Plumlee, Ryan Kelly and Seth Curry, they do bring back PG Quinn Cook, who should be able to take control of the reins in his third year on the squad. Of course, bringing in one of the nation’s best recruits in Jabari Parker should help immensely as well. The true wild card for this spot is Kentucky. The Wildcats suffered through a dismal 2012-1013 campaign after winning the national title the season before, but may have more talent on the roster than any team in college basketball history. With the nation’s No. 1 ranked recruiting class, led by Andrew and Aaron Harrison, Julius Randle and James Young, joining returning players Alex Poythress and Willie Cauley-Stein, coach John Calipari could have another title team in Lexington. With the amount of basketball talent in the region, there should be quite the battle for chance to play at Madison Square Garden as the East’s top-seeded team. This entry was posted in Uncategorized and tagged east regional tickets, ncaa basketball tickets, ncaa tournament by promc58blog. Bookmark the permalink.